We the Star Metal Forms Pvt. 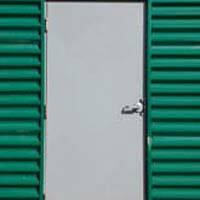 Ltd., introduce our selfs as leading manufacturer of high protection fully steel flush doors, made out of G. I.sheet on both sides, insulated with polyurethin foam (PUF) and is formed snap fitted (no welded joints in shutter). Complete manufacturing of doors On An Automatic Plant Imported From U.S.A. Having Production capacity of over 180 nos. 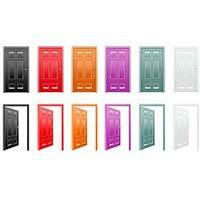 Doors per day. Our product have been approved by CPWD New Delhi, also we are supplying our "Diamond" brand steel doors and windows to Government & Semi Government department, including Indira Gandhi centre for Automic research, Alluminium factory, Pune & Public/Private undertakings. We have received appreciation certificates from Bhabha Automic Research Centre-Kalpakaram, CPWD, P&T, MES, AirForce, CAT Projects, NTPC at Tarapur and Mumbai, L&T Ltd., Group Engineering Corporation, Ragasumum Contracters, Mata Amrutanandmayi Math, A.V. Pandhe, M/s Ispat, Godrej, Tata, Reliance, Jindal etc. Are our valuabel costumers. We take pride in informing you that we are only company in India to receive Export Recognation Award from Export promotion council for steel doors and windows. Star Metal Forms Pvt. 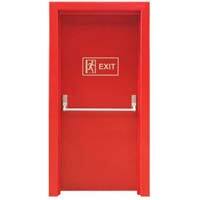 Ltd., is one of the most reputed Door manufacturers in India. Our products have made a position in the masses with its unsurpassed quality and high durability. 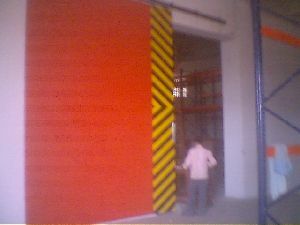 Our industrial doors and galvanized steel door are especially designed for heavy duty jobs. We use only best quality raw material to manufacture such highly efficient product.